It may seem as though there's not much to a fruit salad other than tossing chopped fruit in a bowl, but that’s not the case. Turning out a beautiful and beautifully-tasting fruit salad takes some practice and a few simple tricks. From picking fruit with the same level of ripeness to spritzing fruit with lemon juice, these 10 tips, from Anna Monette Roberts of www.popsugar.com, will help you reach fruit salad perfection all year round. Buy Seasonal Fruit. Flavor- and texture-wise, seasonal fruit always tastes better. Ever had mealy, bland blueberries or apples during their off-season? Simply put, it's best to avoid buying produce from halfway around the world during its off-season. Instead, look for seasonal produce that's local to you — or at least originating from the continent in which you live. Mix Fruits of Different Colors and Textures. Toss fruit with striking hues like green, orange, red, and purple to highlight and contrast each fruit present in the salad. In addition to varied colors, think about combining different textures, too. Some fruits are seedy; others are crispy. Some are filled with juicy pockets; others have a fibrous skin. Mixing it up adds interest and flavor depth. Remove Stems, Pits, and Skins. A fruit salad looks cleaner when every piece of fruit is prepped. If you cannot remove the pits or seeds, then warn your guests of any items that have something hard inside that is not visible. It’s a nasty experience to unknowingly bite into a grape that's full of bitter, tooth-breaking seeds. Cut Uniform Dices or Slices. One of the first tricks culinary students learn is to cut uniform pieces. Not only is it visually attractive, but it also makes eating the fruit salad easier. Whatever the size of the dice or slice, choose one measurement and stick to it when prepping all the fruit. Use Equal Parts of Each Fruit. Nobody likes a spoonful of filler fruit! 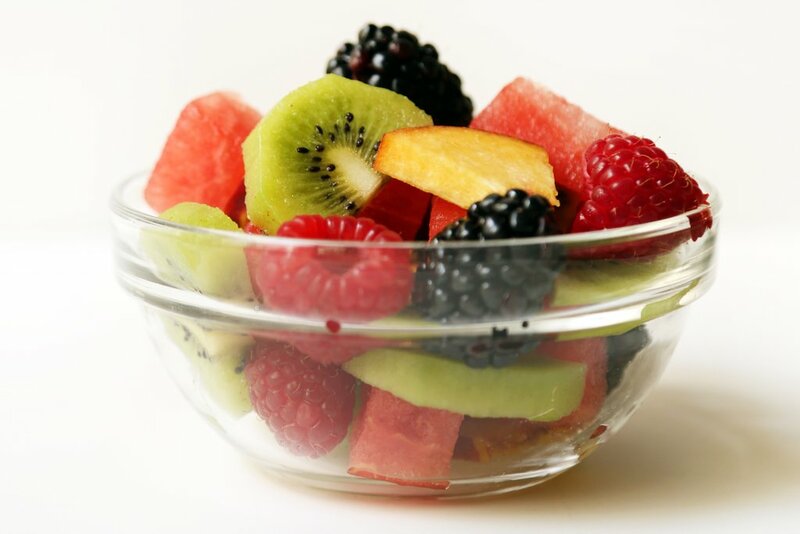 An attractive fruit salad is filled with equal parts of each fruit, so no one feels as though they're left with the unwanted, bottom dregs of the bowl. Season with Citrus. 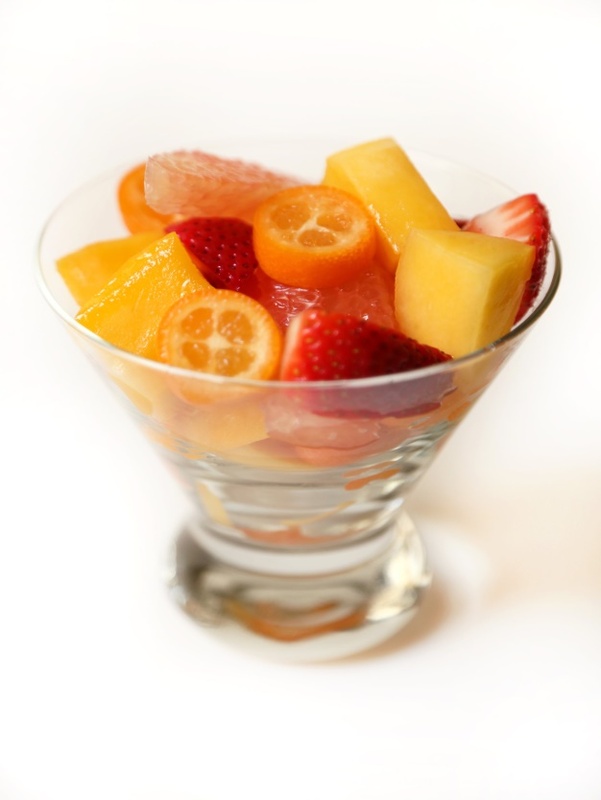 Amplify the flavor of fruit salads with the use of fresh citrus zest and juice from lemons or limes. The citrus juices prevent fruit from turning brown and act as the "salt" to fruit, enhancing its flavor with spritzes, to taste. 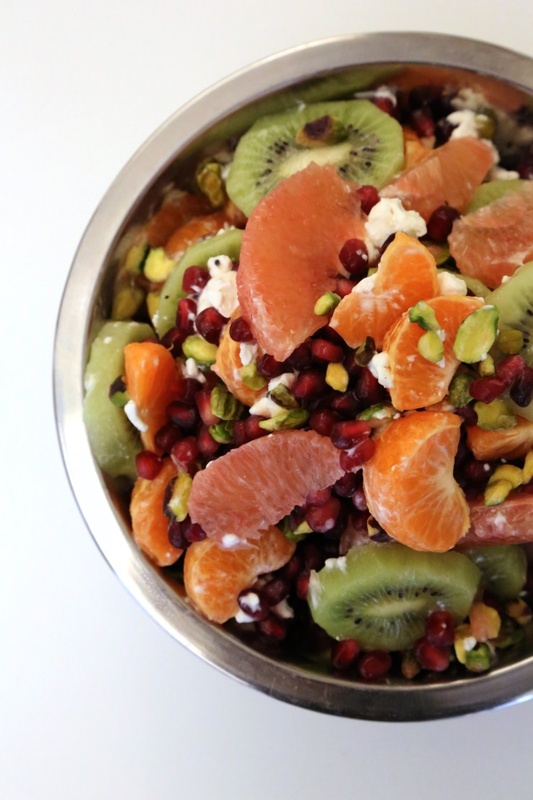 For even more citrus flavor and visual sparkle, sprinkle the zest atop the fruit salad. Herbs Aren't Just For Garnish. Mint often finds itself garnishing fruit salads, only to be plucked up and discarded to the side. 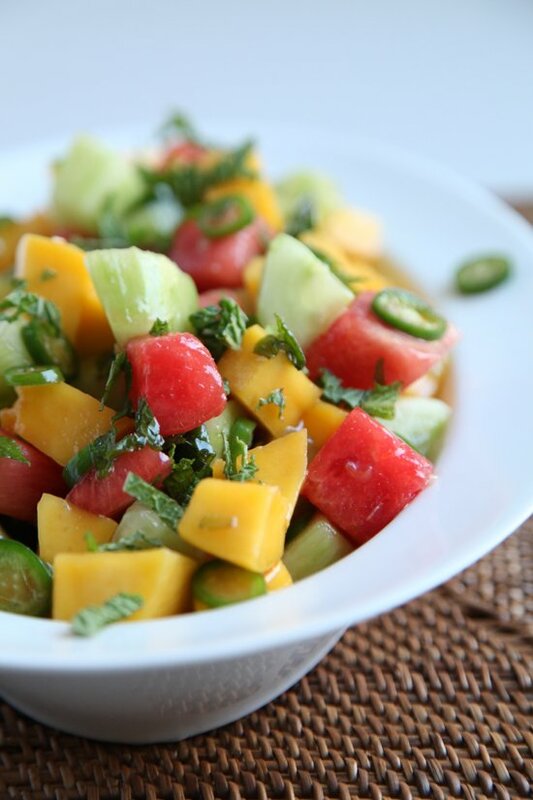 But herbs, especially mint, actually add a refreshing seasoning to fruit salads with melons, berries, and citrus. 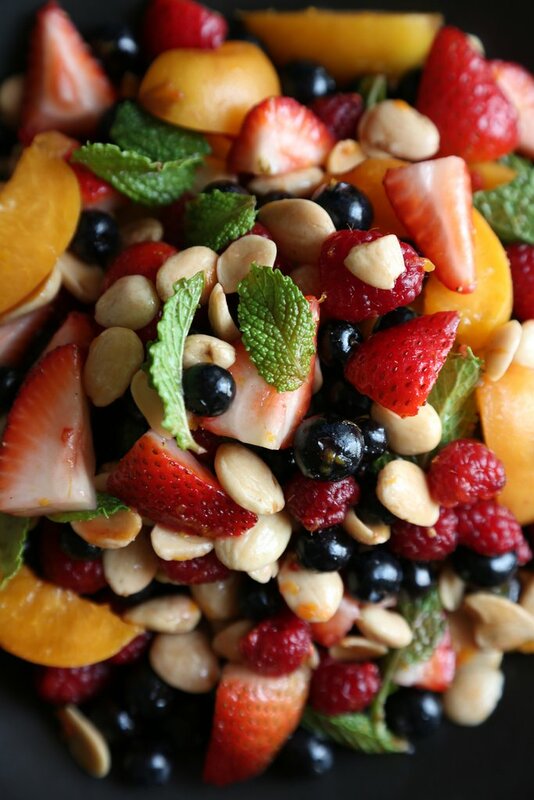 One of my favorite tricks is to use minted sugar to flavor fruit salad. All you do is pulverize a couple fresh mint leaves into 2 or 3 tablespoons of granulated sugar. The process flavors and colors the sugar — it adds a special zip to the fruit. 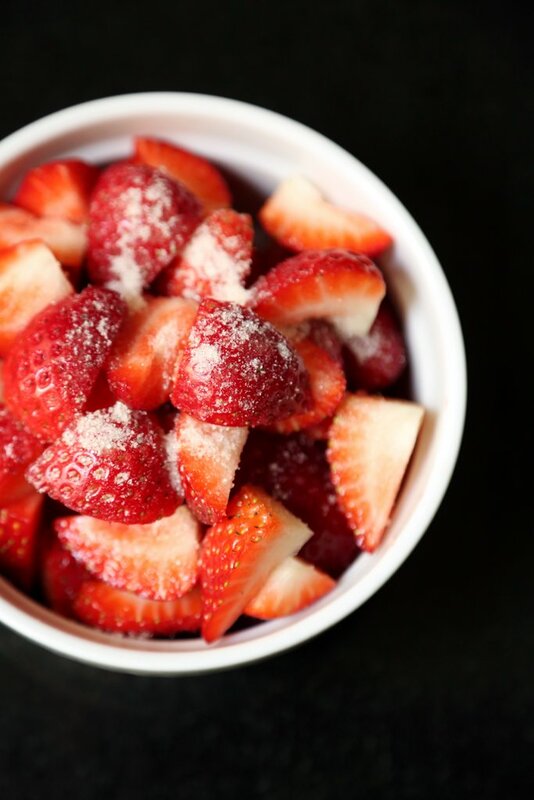 Sprinkle Unripened Fruit with Granulated Sugar. Every once in a while, you'll come across a batch of berries that are tart and tough, signaling that they are not quite ripe. 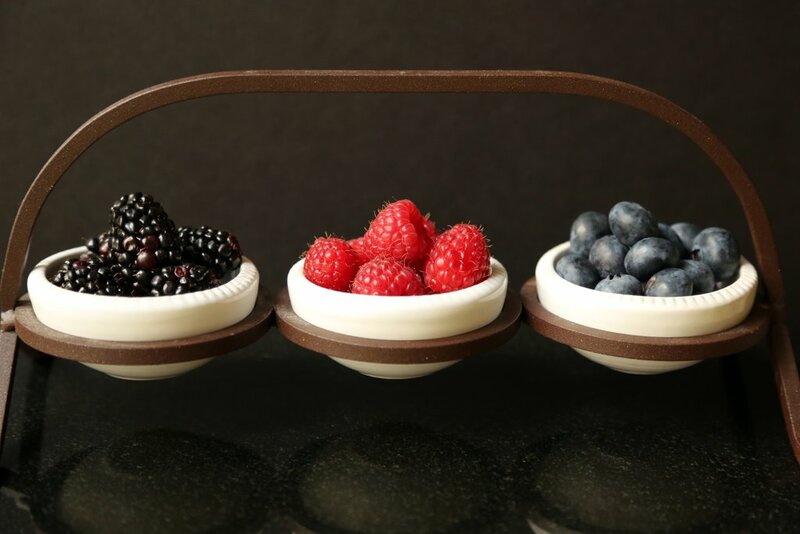 Soften and sweeten unripened fruit with granulated sugar, to taste. The granules will dissolve into the fruit after a few minutes, so no need to worry about the initial grainy texture. Finally, Add Whipped Cream or Vanilla Yogurt. Especially on berries and stone fruit, a little dollop of whipped cream or yogurt adds an unabashed deliciousness to fruit salads.